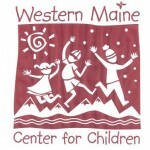 Western Maine Center for Children is collecting labels for the Labels for Education program. When we collect enough labels, we are able to obtain FREE Art, Athletic and Educational materials for our Preschool room! We have a collection box at WMCFC in the Carrabassett Valley Community Building. Participating brands are Campbells, Pepperidge Farms, Swanson, Prego, V8, Pop-Secret and BIC. We appreciate any and all contributions. Thank you!